Significantly, Ola CEO's email to his team underscored the point that the company has not sacrificed top line growth or ceded market share to Uber to achieve this goal. In financial year 2016-17, homegrown cab aggregator Ola had reported losses of over Rs 4,897 crore, as per documents filed with Registrar of Companies (RoC). In the previous year, it had seen losses to the tune of Rs 2,313 crore. But things are finally looking up for India's largest ride-hailing app. According to The Economic Times, Ola has started making money on each cab ride - a major milestone - after taking into account expenses such as driver incentives and customer discounts. What's more, the company is targeting profitability by the end of this year. "Last week, our India business crossed a major milestone. We are now ENTR positive," Ola CEO Bhavish Aggarwal reportedly wrote in an email to his team late last month, adding, "This milestone has come after a consistent and persistent effort that all of you contributed in, and we've been able to achieve it keeping market share and growth steady." For the record, ENTR or effective net take rate, is an important metric for ride-hailing companies and is arrived at after deducting costs like user discounts from the commission that the companies charge their driver-partners. Citing industry executives, the report added that at the peak of the ride-hailing battle in 2015 and 2016, the companies were losing Rs 100-200 per ride. Significantly, Aggarwal's email to his team underscored the point that the company has not sacrificed top line growth or ceded market share to Uber to achieve this goal. "We will continue to focus on profitable and sustainable growth, and building a growing profitable business, the first in Indian internet," he added. With this milestone, every incremental ride that Ola completes will take it closer to profitability, but according to the daily, the battle is far from over since to get there the company also has to recover expenses for salaries and technology. According to the company's filings with the ministry of corporate affairs, although Ola curtailed variable costs such as advertising and promotion expenses by 53% to Rs 285 crore in FY17, against Rs 438 crore in the previous fiscal, its fixed costs such as salary expenses increased to Rs 572 crore from Rs 461 crore. All in all, Ola's operating loss increased 32% to Rs 3,731 crore in FY17, even though operating revenue more than doubled to Rs 1,178 crore. The prediction for the current fiscal is better but far from rosy. 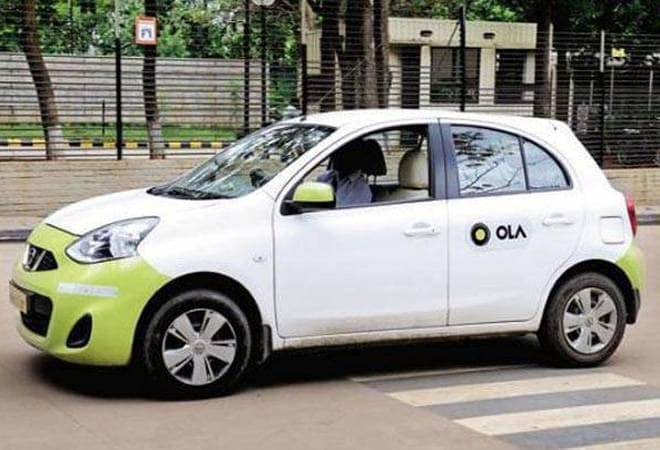 Ola has reportedly projected a net operating loss of Rs 1,235 crore for the year ending March 2019, according to its latest valuation report filed with MCA for stock acquisition of public transport ticketing application Ridlr. However, it anticipates a profit of Rs 746 crore for the year ending March 2020, which bodes well for a company that plans to go public in the next few years. To get there, Ola has nearly done away with the system of offering discounts to consumers. In addition, it is aggressively pushing its subscription services such as Select and Share Pass to get money upfront. "The biggest difference between Ola and Uber is that Ola has understood how Indian consumers behave differently from global consumers and innovated for India market," Ritesh Banglani, partner at venture firm Stellaris, told the daily. "This is a milestone because it proves that the war will not be won on just on discounts but also on technology and innovation."